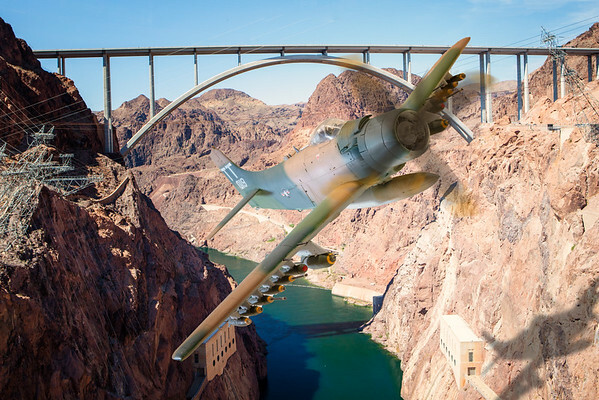 This A-1 Skyraider Attack Aircraft is armed to the teeth and flying between the highway bridge and the Hoover Dam. Of course, this isn't completely real. I photographed the canyon from the Hoover Dam and I photographed a beautiful model of the A-1 in my kitchen. Then I combined them in Photoshop to create this altered reality image.